I have shown a lot of work in local exhibitions and shows. In the last few years some of my work has been accepted in the EAC exhibition at the Mall Gallery London. 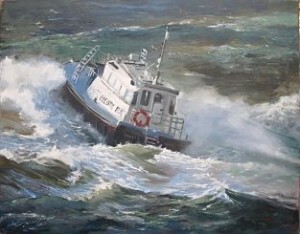 I have also had some work accepted for the Royal Society of Marine Artists, also at the Mall Gallery. My ambition is to paint better and better and so to be accepted to the R.S.M.A., if I work hard enough. I am a member and chairman at the Pinner sketch Club society.